The sign of Cancer is one that I hold dear, as it rises to prominence just as the height of summer arrives. July is lit at night by the stars of this ancient sign. The ancient Greek legend that lies behind this sign is especially interesting. Supposedly, as Hercules was battling the hydra, he stepped on a crab that was crawling along the ground. The crab bit the warrior in self-defence, and Hercules then killed the unlucky creature. The Goddess Hera then placed the crab amongst the stars. It has remained there ever since. Some people say a crab is a strange sign to have for the Zodiac, but it makes sense when you look deeper, at the qualities this great survivor possesses. 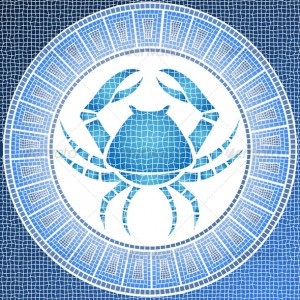 Cancerians can survive in many environments, and may well be amongst some of the most steady and reliable people you know. Part of this is the resourcefulness that the Cancer sign represents. The crab knows how to survive at the bottom of the ocean and in the face of numerous predators. It’s unusual movement, and ability to move sideways easily is represented in the way in which Cancerians can arrive where they want to be without a direct approach. They are skilled at management, and rushing headlong into challenges is not in their nature. Truly, one of the more fascinating aspects of the Cancer sign is how it manages to instill a sense of belonging in those born under it. These are people who generally value those in their family and close friends. Often, while they can be good networkers, Cancerians like to keep a close-knit group around them. They value loyalty and the intimacy that comes from a small but close circle of friends and family. Cancerians tend to be well-rounded. They have an understanding of the world, and work hard to carve a space for themselves, but they keep their minds focussed on what really matters. These are people who have a tendency to be both well-organised and with a clear vision. We refer to people born under this sign as Cancerians. A Positive Aspect: A Cancer is often a friend for life. The ability of those born under this sign to bond and closely connect with people gives them the ability to appear in your circle of friends. If you were to count those people whom you feel you really get along with, it may contain an abnormally large number of Cancerians. That is an indication of the natural ability they can often possess. A Negative Aspect: Sometimes, it seems easier for Cancerians to be down. While they have the ability to connect, they can over do-so at times. Sometimes they manage to put themselves down in the dumps without meaning too. Despite displaying great mental willpower, they can beat themselves up about things. It is often difficult for Cancerians to find it within to forgive themselves if something has gone wrong. In this respect, their relationship with guilt can be very difficult. Famous Cancerians: Nelson Mandela, Princess Diana, Alexander the Great, June Carter Cash, Tom Cruise. Is Cancer your sign? Do you feel you need help understanding and getting the best of your horoscope? The daily horoscopes are not coming up. I would like to receive the daily horoscopes not the Chakras. I'm a cancer sign to and agree with alot of the description. I love nostalgia and having really close friends. I would love to become more intuitive to my future and what sign would be best for me to date. This article is great! EVERYTHING ABOUT THIS ARTICLE IS STRAIT TO MY LIFE NO BE LIE.NOW I WANT TAKE OVER MY CHANCES [GIDI GBAM].THANK U MASTER.